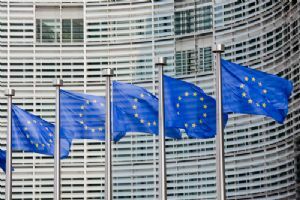 The European Commission has been criticised for failing to implement higher targets and new policy measures to encourage the reuse of materials and reduction of wasteful consumption. In a report released by Friends of the Earth, the NGO claims the Commission is contradicting its recycling targets by pursuing a trade liberalisation approach, seeking greater access to developing countries' resource markets. In addition, FOE said the Commission's 2011 Roadmap to a Resource-Efficient Europe lacks robust and reliable solutions focused on reducing consumption, and that the cultivation of biomass was counterintuitive. Entitled Less is more: Resource efficiency through waste collection, recycling and reuse, the report states that the roadmap focuses on 'natural capital', arguing that ecosystem services give natural resources an economic value that will protect them from depletion and pollution. However, FOE is concerned that this economic approach is no substitute for real regulations shaping and guiding the use and disposal of resources, and resource-friendly manufacturing processes. In contrast to the resource-efficient European approach, FOE argue that the EU's promotion of 'bio-economies' risks more land grabs, forest degradation and emissions from deforestation, as crops and timber are increasingly imported to meet growing feed, fuel and fibre demands. The report specifically looks at the environmental impacts of the extraction, use and disposal of three commodities widely used in Europe: lithium, aluminium and cotton. The extraction of lithium in Chile, for example, is contributing to water shortages and pollution, leaving local communities struggling to grow food, as well as damaging the local flora and fauna. FOE predicts that the demand for lithium is destined to soar with the development of electric vehicles powered by lithium-ion batteries. It therefore says that major investment in collection and recycling infrastructure and technologies, combined with effective regulation are crucial to cut down on mining. FOE resource use campaigner Ariadna Rodrigo argued that in order to move to a zero waste Europe, higher recycling targets need to be accompanied by targets for waste prevention. "There is an urgent need to fundamentally change EU policies and end our current wastefulness. Reducing waste is an easy way to increase Europe's resource efficiency. It not only contributes to cutting carbon emissions, it also creates jobs in Europe and reduces dependency on imported raw materials," she said. I am sure this information will help large number of people to focus on some of the important aspects of the topic.